The XPS-D digital motion controller has increased power to 750 W with a 50 percent larger power supply for driving more powerful motors at higher speeds. A total of 40 digital inputs and 40 digital outputs to read external switches, control relays, or other digital devices are included, as well as 8 analog inputs and 8 analog outputs to precisely monitor or control any motion axis. 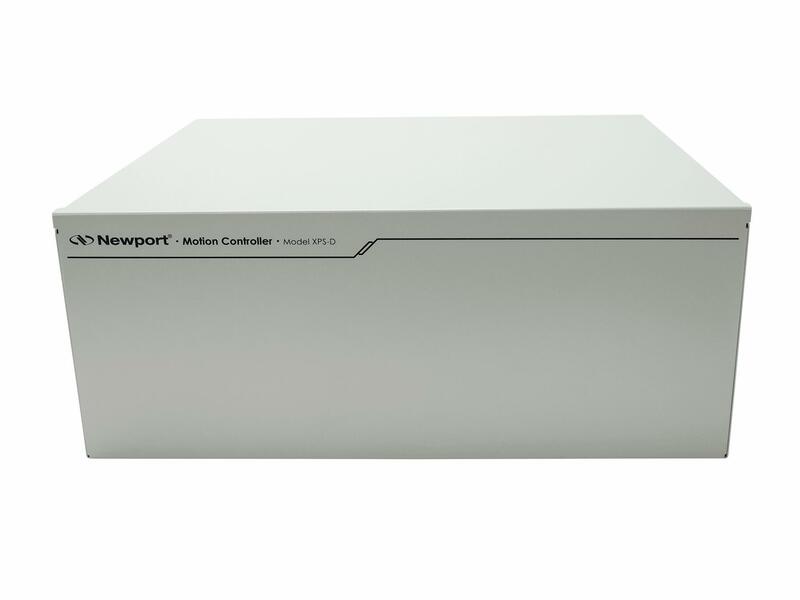 The XPS-D controller is compatible with all Newport electromechanical stages and provides backward-compatibility to the Newport XPS-Q driver cards and API’s. For additional information on the XPS-D digital motion controller and driver, click here to visit the XPS-D webpage.